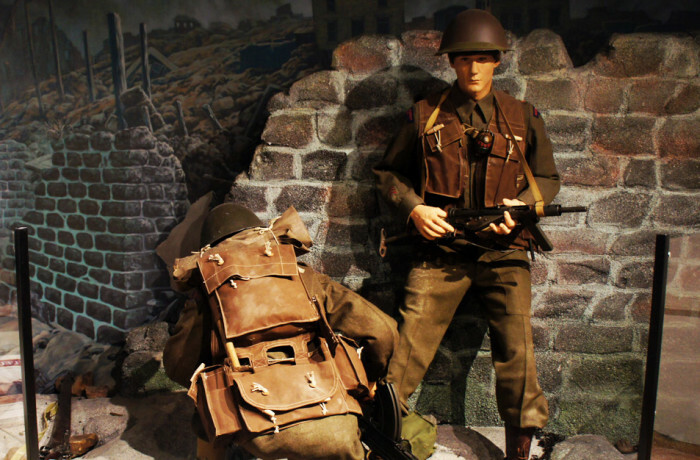 On June 6, 1944, D-Day, the North Shore (New Brunswick) Regiment took part in the 3rd Canadian Division’s attack on Juno Beach on the Normandy coast of France. Landing on the left of the 8th Canadian Infantry Brigade, the New Brunswickers came ashore around 7:45 am to the west of the village of St. Aubin under heavy machine-gun and mortar fire. They quickly moved through mine fields and strong points, cleared seaside buildings of German defenders, and by late morning had silenced the town’s defences.